The December meeting will be held at 7 p.m. at the Columbia Country Club. Social time is at 6:30 p.m. The entertainment will be singing holiday songs. Remember to bring toiletries that Rose La Mantia will gather for a gift basket that will be donated to the Ronald McDonald House. Warm up those pitch-perfect voices and get ready to sing plenty of Christmas songs from noon to 1:30 p.m. at Lenoir Woods in Columbia. Remember to dress in Christmas colors and wear a Christmas hat. Hot chocolate, candy canes and cookies will be provided after the caroling. The Show-Me Cosmo board of directors will meet at 5:30 p.m. at the Cosmopolitan Building. This year the Show-Me Cosmo Club is sponsoring three families, which includes five adults and nine children for a total of 14 people in our community assisted by the Voluntary Action Center. There will be a sign-up sheet at the Show-Me Cosmo general meeting Nov. 1 to purchase gifts for each family member identified by a family number and name. There also will be a sign-up sheet to give money for food vouchers. Food vouchers are used by the families to buy groceries. Bring your gifts or money to the Show-Me Cosmo meeting on Dec. 6. Do not wrap gifts; instead put them in gift bags, boxes, plastic totes or laundry baskets. Be sure to label all containers with the family number and name. Checks for food vouchers must be made payable to the Voluntary Action Center. The gifts and money will be taken to the distribution center on Dec. 10. Thanks to Wayne and Maxine Powell for helping to deliver the gifts. Thanks to all Show-Me Cosmo members, these three families will have a very Merry Christmas. 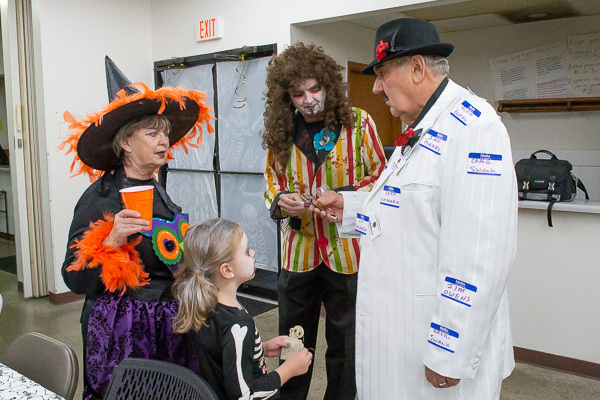 Members of all three Cosmopolitan clubs in Columbia gathered Oct. 30 for a ghoulish good time at the Cosmopolitan Building. Jessica Bernhardt and Rose La Mantia served up the best chili -- according to a vote among attendees -- and a best costume contest and Halloween trivia contest capped off the evening. 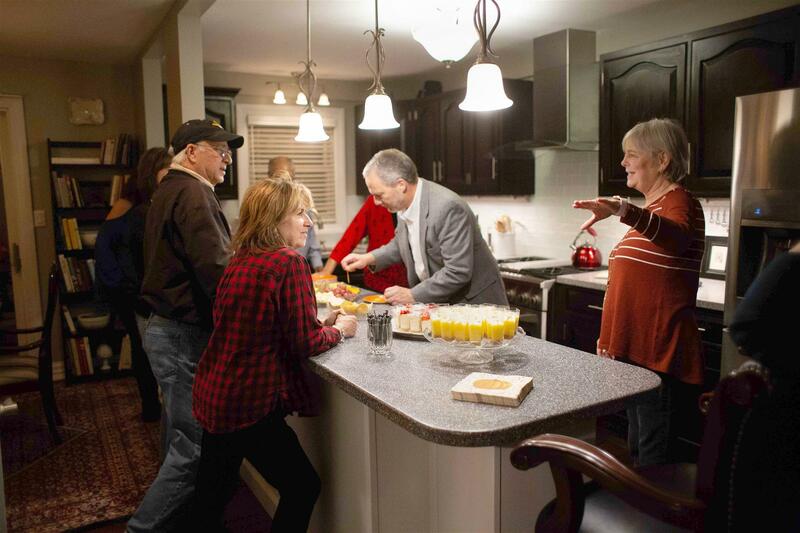 Show-Me Cosmo members traveled across Columbia on Nov. 10 as they visited the homes of members Julie and Brian McNeill, Sara and Tim and Echternach, and Jeane and Bill Tetro. The progressive dinner included heavy hors d'oeuvres, salads and desserts. Cosmo International is requesting articles for the Winter 2018 COSMO Topics magazine. The theme will be the 2018 International Convention in Kansas City. If you would like to submit an article it must be received at CI headquarters by Dec. 10. Email the article as a Word document no longer than 500 words to headquarters@cosmopolitan.org. You may also include photos that complement the story. Topics for consideration include fundraising projects, community activities and donations, and membership activities and social events.